I’ve seen the poufy poodles and the dancing collies, the anxious owners and the huge trophies on TV before, of course, but I’ve never visited Crufts. Billed as the world’s greatest (and biggest) dog show, it attracts some 165,000 human visitors, and 22,000 dogs – around 3,500 of the pooches coming from overseas – compete for the title of “Best in Show”. The arena of the four-day event in Birmingham’s NEC was packed with displays from breed clubs (a magnificent display with perma-smiling golden retrievers) to police forces (alsatians from West Midlands police have a great time wrestling down would-be criminals) and even Scuffts (a smaller competition for mixed-breed dogs), plus agility and flyball trials. 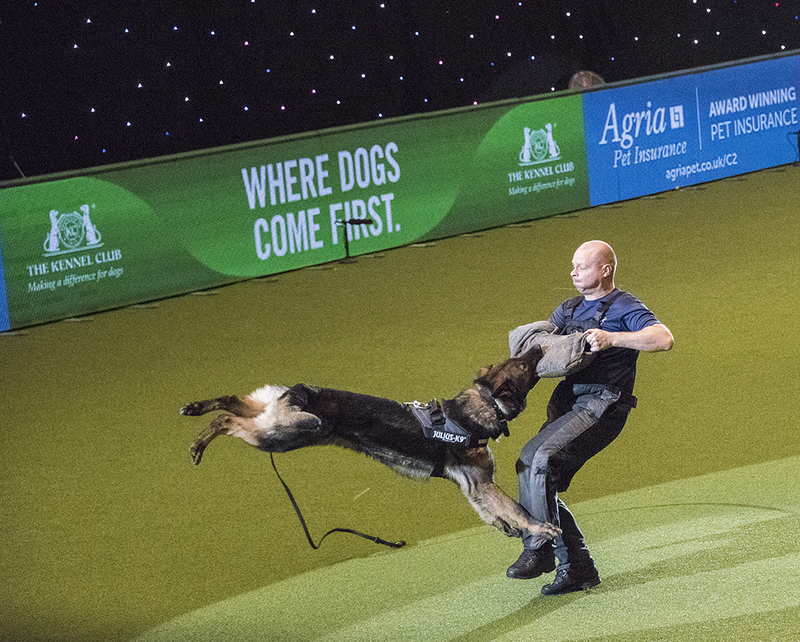 The latter is perhaps the most action-packed Crufts event, where two relay teams of four dogs each compete in parallel racing lanes to get a ball from a backstop board, against which the dogs jump to turn around, and then run back. These events filled the daytime programme, and the evenings were reserved for the fluffy, pruned prancing breeds. But the arena is just half of the Crufts circus. There is a massive exhibition area with some 550 stalls full of dog food, clothes, accessories, toys and all things in between, plus gifts for people who have graduated past ‘dog crazy’ to ‘dog mad’. Crufts also hosts stalls that introduce different dog breeds as well stands by various charities, and the exhibition halls have further rings for yet more dog displays, such as “young handlers” and The Kennel Club’s Good Citizen Dog training arena, where very good dogs show off their very-good-dog skills. The judges for the breeds took their jobs extremely seriously and mostly without a smile, when I would have probably just cuddled each dog. And with some shiba inus starting their own little fight club in the grooming area, it did make me wonder why all the aggression when dogs are meant to bring us joy and companionship. 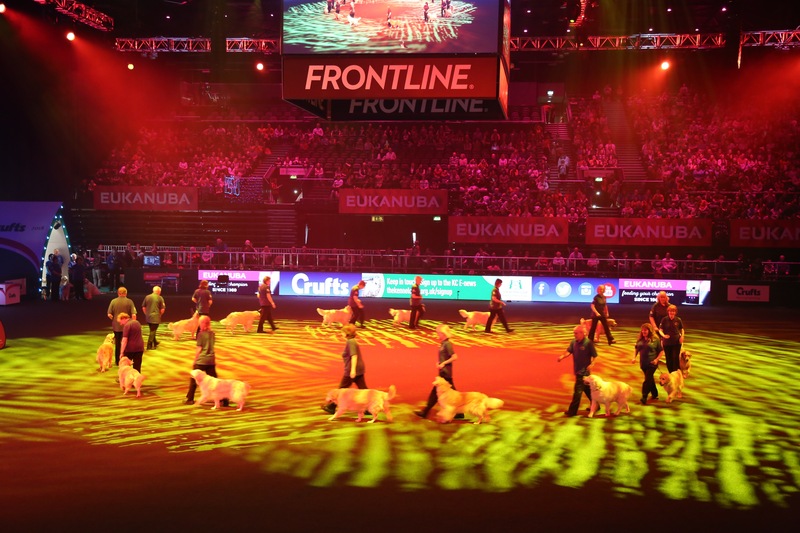 But what we see mainly on the TV is only half of Crufts – and the other half is well worth the event. Throughout the exhibition hall were plenty of guide and therapy dogs, either with their owners or to represent their charities and collect donations. In the arena, with audience stands on three sides, one entire first row was reserved for wheelchair users, many of whom had their support dogs with them. There were also plenty of children – perhaps because we visited on the Saturday – who all looked so excited. My personal highlights were to meet Averil Jarvis, founder of The Cinnamon Trust. Since 1985, the nationwide charity looks after the pets of people in the last stage of their lives, to take the worry away of what will happen to the pet once the owner passes away. The 15,000 volunteers also help out by walking the dogs of owners who are housebound or foster the dogs, if the owner has to into hospital. The Cinnamon Trust needs more volunteers, and I hope to become one of them. The other highlight – a far more light-hearted one – was the Dynamic Dolphins flyball team. Of the four competing dogs, one got his ball during the test and then decided to flirt with the audience instead of rushing back to his people. Another made it into the stands for a victory lap, because not only did these dogs have the most fun – they also won. While the “Best in Show” but without the comedy was expected, you can find dogs that just want to have fun at Crufts. And even though the emotional support we get from dogs isn’t celebrated explicitly at Crufts, you can find a lot of that love. Visit the stalls with the amazing cause instead of the tacky dog sculptures, and if that Yorkie blanks you too, ask to cuddle a therapy dog.